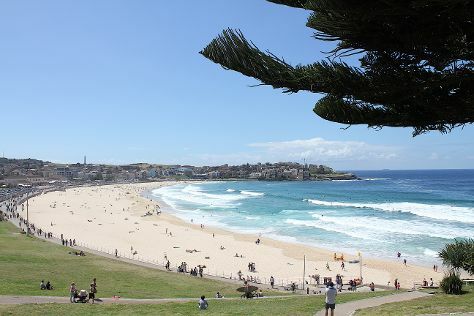 Kids will appreciate attractions like Bondi Beach and Sea Life Sydney Aquarium. You'll find plenty of places to visit near Sydney: Shelly Beach (in Manly), Katoomba (The Three Sisters & Wentworth Falls) and Bilpin Cider Company (in Bilpin). Spend the 26th (Wed) wandering through the wild on a nature and wildlife tour. The adventure continues: wander the streets of The Rocks, look and learn at Sydney Observatory, hike along The Opera House to the Botanic Gardens Walk, and admire the natural beauty at Royal Botanic Garden Sydney. For more things to do, other places to visit, and tourist information, go to the Sydney tour itinerary planning app . If you are flying in from Singapore, the closest major airport is Sydney Kingsford Smith International Airport. Expect a daytime high around 21°C in June, and nighttime lows around 11°C. Wrap up your sightseeing on the 26th (Wed) to allow time to travel back home.